Since joining in 2017, MarketLogic has given BBN access to some of the most important markets in Latin America. The agency offers a unique mix of regional strategy from its Miami headquarters, paired with local insights and execution from its presence in Mexico City, Guatemala City, Bogota, Lima and Santiago de Chile. Under its tagline of ‘ideas meet results,’ MarketLogic offers BBN’s clients a pragmatic approach to this emergent part of the world. Their creativity blends with a sound communication strategy, compelling message and a channel mix to maximise measurable opportunities for awareness or lead generation. To achieve these goals, MarketLogic integrates its digital and traditional in-house creative and media planning team with its three contact centres. 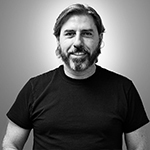 Marcelo brings over 20 years of experience in international business, including strategic development and tactical execution in verticals such as consumer and technology. 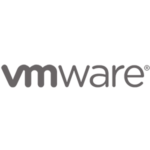 He has had the honour of working for global companies such as Apple Latin America, Sony Ericsson, HBO Group, General Mills, Samsung, and Sharp Electronics. He also founded XL Worldwide, a premium transport and logistics firm specialized in Latin America and the Caribbean and a key component of MarketLogic’s competitive advantage. 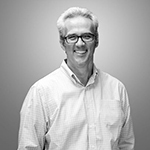 Responsible for the accounts team in Miami, he brings over 20 years of experience in advertising and is credited with the development of channel programs for American Express. Previously, Hernan was Partner at Publimen in Buenos Aires. He still works with Publimen, now serving as the creative agency for many of MarketLogic’s regional clients with needs in Argentina. He currently serves as President of the Asociación Latinoamericana de Agencias de Publicidad and is a member of the Argentine Marketing Association. 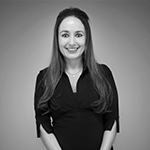 Gabriela Palma has over 10 years of experience in telecommunications, marketing, and International Business. She has been responsible for Samsung Trade Marketing throughout Central America and BTL activities. 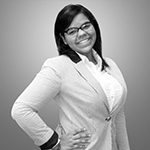 Gabriela has developed activities and promotions for Coca-Cola, Huggies, and MoneyGram in Central America. 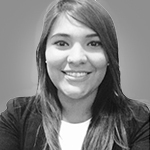 Gabriela previously worked in the procurement department for Claro, working closely with brands such as Motorola, Sony Ericsson and Samsung. She then joined Brightstar Corp team, where she was in charge of opening Guatemala offices as Commercial Manager. Paz has had experience in industries like hotels, banks, hospitals and clothing stores. Before working in advertising, she worked in PR, organizing events to promote artists, and talented people such as designers, art workers, etc. 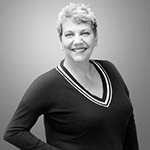 Kathy has 10 years of experience in Marketing and Advertising, Branding and Packaging. She is the strategic and executional support for new business and current clients in Colombia and South America. During her career, she has worked for clients such as SABMiller, Mazda, Mondeléz, Kimberly Clark, Meals de Colombia, Zenú, Alquería and Unilever performing strategic development, communication tactics and research. Kathy is an Advertiser with a degree in Marketing Management and recently completed a Certification in Digital Marketing. Angie has over 10 years of experience in advertising and is a specialist in digital and mass marketing. She has worked in different areas such as automotive, retail, banking and winery. The beginnings of her career as an art director add to her experience as she manages technical teams and creative processes. Angie has strong abilities to plan, manage and assist strategic processes for a company, brand or product. She can also develop and lead workgroups thanks to her great background in public relations. Jennifer graduated in Advertising and was awarded for the New Blood Awards festival in London. She holds a Masters Degree in International Marketing Services, a Diploma in Strategic Planning by Miami Ad School, and a Specialization in Design Thinking and Innovation Management. A senior executive with more than 8 years leading successful marketing and commercial management strategies with high local and regional impact. She has worked with brands such as Coca-Cola, Disney, Unilever, Microsoft, Oracle, among others. While she began in the consulting side of outsourcing at the very early stages of social media marketing, her work has evolved through the industry, landing her at her current role as a creative director in MarketLogic. She studied communications at Universidad Rafael Landivar in Guatemala City. 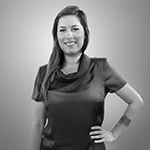 Jennifer has a Bachelor’s degree in Marketing and a Master’s Degree in Advertising from Nebrija in Madrid, Spain. 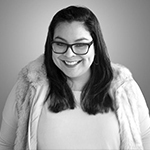 She leads the Interactive and Consumer Marketing initiatives with years of experience with global brands in Latin America, Caribbean and US Hispanic Markets. She is responsible for developing multi-channel communication strategies and projects dedicated to consumer experience in store and online. Her digital expertise goes from online campaign, SEO optimization, mobile campaigns, lead generation, social media marketing, apps to website development. Margot emigrated to the U.S. in 2009, and has brought over 16 years of experience managing business development and strategic marketing teams for leading advertising agencies, media outlets and technology firms in Venezuela. 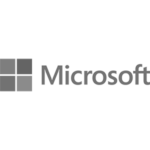 Her career includes planning and executing BTL campaigns for Microsoft and Intel. She managed a Digital Signage firm developing non-traditional campaigns for companies such as Visa, Kraft, Ford Motors, HBO, Movistar, etc. 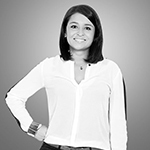 She develops new strategies and optimizing business processes for key clients within MarketLogic.